According to a report, the number of job positions in Singapore’s tech industry has overtaken the finance sector. According to a report, Singapore is expected to become a top destination for tech hiring over the next ten years, considering its highly educated workforce, proximity to large Asian markets, and pro-tech-investment policy stance. The report indicated that number of available job positions in the tech industry has overtaken the finance sector in Singapore. There were over 52,090 job postings in the tech sector on the website as of last November, up about 40% from a year earlier. Of the 5,806 tech jobs postings in Singapore, 3,072 are open jobs in the computer software and hardware industry and 1,418 open jobs in the modern tech and internet industry as against 4,715 jobs in the finance sector. The report data is consistent with what is seen in the United States labour market, where there are three times as many tech job postings than in the financial industry. For the open finance jobs available on the website, the estimated median base pay was SD $8,338 (about US $6,148) per month. For the open tech jobs, the overall monthly median base pay was SGD $7,253 (about US $5,348), almost SG $1,000 (US $737.3) less per month. 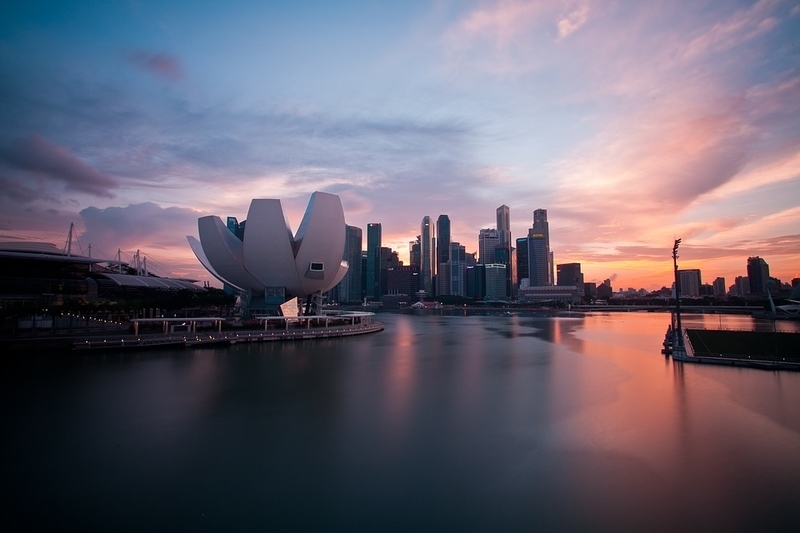 According to the Singapore Government, the factors that make the country so appealing to start-ups are a sophisticated IT infrastructure and pro-business ecosystem geared toward fostering innovation. A rich, readily available pool of young, highly educated tech talent and advanced software engineers. And its invaluable geographical proximity to thriving tech markets. Last year, Singapore’s Economic Development Board (EDB) noted that 80 out of the world’s top 100 technology companies have operations in Singapore, which account for 6.5% of the country’s GDP. It said that credit for the nation’s appeal goes to its state-of-the-art infrastructure, business-friendly tax structure, and stringent intellectual-property laws. Singapore ranked first in Asia, according to the 2017 Global Innovation Index, while the Bloomberg Innovation Index of the same year, listed the country as 6th in the world, ahead of Japan and the United States. Singapore was ranked first in digital infrastructure in the Economist Intelligence Unit’s latest Asian Digital Transformation Index, 2018. The EDB said that firms can tap into that one of the world’s most technologically advanced IT infrastructures to easily test and pilot new products as soon as they set up their WiFi network. The future of work in Singapore is likely to feature many more opportunities for ‘knowledge workers’, those using data, software, and intellectual skills, in the country’s growing tech and financial sectors, the report said. Official figures from Singapore’s Ministry of Manpower show that tech and finance hiring is on the rise as a percentage of total open jobs. Tech and finance hiring has risen from 6% of open jobs between 2006 and 2013, to more than 12% as of June 2018. This trend toward Singapore’s rising tech hiring is likely to accelerate in the coming decade.